PLEAS NOTE: The gift recipient will receive the e Gift Card via email immediately after purchase. If you are wanting the recipient to receive the e Gift Card at a specific time, you have the option to place the order at that time or use your own email address as the "Recipient's Email Address" and forward the email to the recipient at your own convenience. Having trouble finding the perfect gifts for her or him? An eGift Card is the perfect gift for anyone and any occasion! It's a great thought that counts and a way to let the person know you care and let them get exactly what they want. It's simple and easy to use. These are excellent for birthday gifts, Christmas Gifts, Mother's Day Gifts, Valentine's Day Gifts or just to let someone know you're thinking of them. 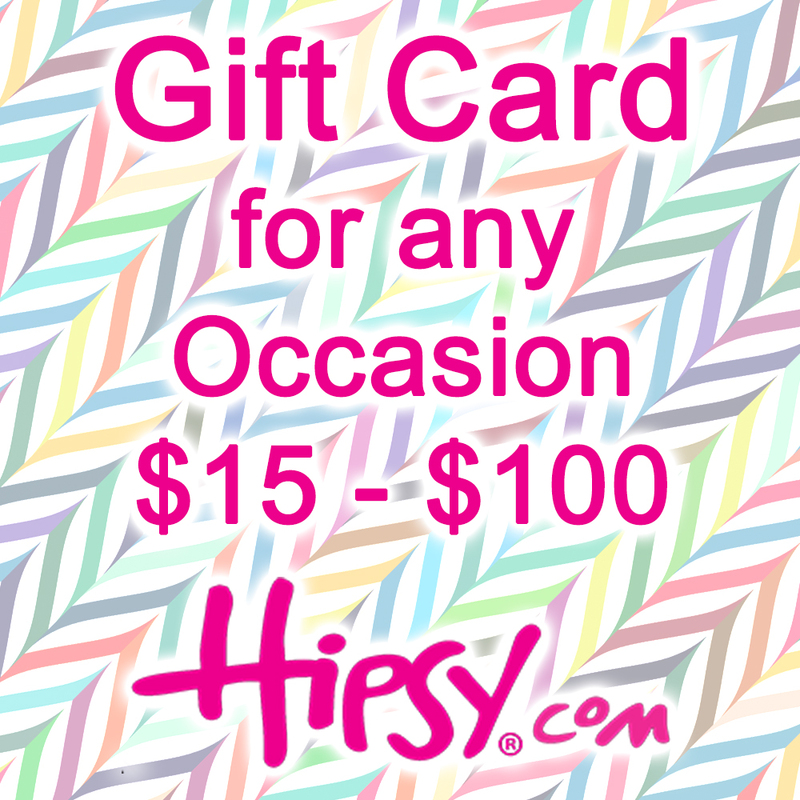 This gift card can be redeemed only at Hipsy.com. HOW IT WORKS: When placing an order for an eGift Card, please make sure all of your Billing Information matches the information associated with your method of payment or your order will not go through. The eGift Card code will be sent to the email address that is entered into the "Recipient's Email Address" field. It is a unique code created specifically for your purchase. Please keep good track of this as Hipsy LLC is NOT responsible for lost or stolen eGift Card codes.